Can someone tell me if this looks correct. I think it does but wanted to check before we recable it. 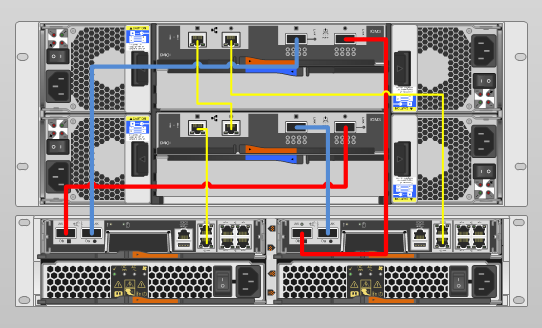 Yellow is ACP and Red\blue are SAS cables.